Temperature is dropping, but your stamina doesn’t have to! 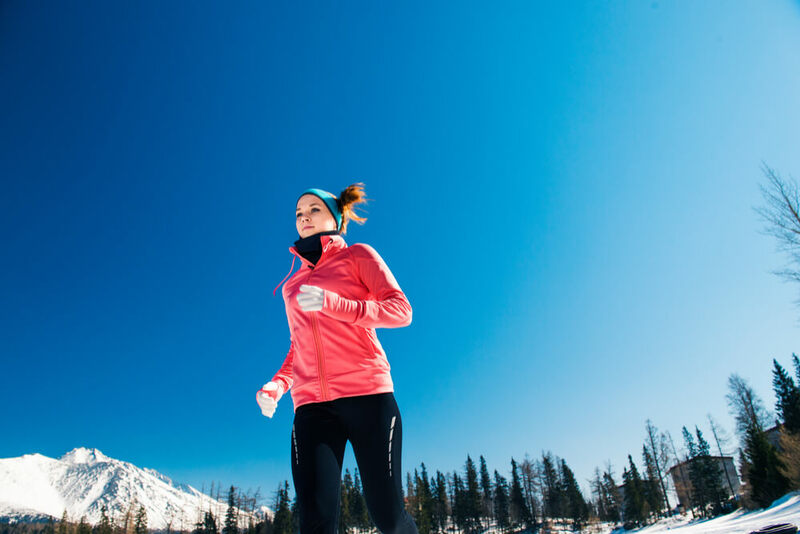 Check out these great tips for exercising in cold weather and why it’s actually beneficial. Let’s be honest, sometimes we have a hard time hitting the gym or even fitting a work-out session in the middle of our hectic week. But, we also know and understand that there are many benefits to keeping active, and this season, you should not stop at all. Exercising in cold weather can actually be more beneficial than you think. Have you even heard of winter exercise tips? We know, hard to imagine that with cooler temps you can summon the courage to move without warm clothes a delicious cup of hot chocolate. However, there is a lot to win from exercising in cold weather. For instance, exercise in cold weather benefits include the decrease of tension and feelings of depression, while your body gets recharged with the fresh air. Furthermore, it is important to keep in mind that any type of exercise increases the levels of endorphins, which contributes to the overall wellness and balance. Another good gift from exercising in cold weather ? You actually burn more calories! Your body takes more time into understanding fatigue, which keeps you going for longer periods of time; this results in quicker, faster, more intense workouts that lead to higher calorie burn. Before you head out this season, plan ahead the trails or paths that you can take. Focus on well-lit areas, that have already been plowed and that have no ice, to prevent slips and falls. Once you have selected your perfect area for exercising in cold weather, review the climate conditions to make sure that you won’t find any unexpected changes along your way. Make sure to dress appropriately for both the type of workout you are performing and for the weather conditions. Cooler temps help in drying sweat faster and easier, but can also cause unexpected drops in your body if you are not protected. Before you head out, make sure you take 5-10 minutes to warm up indoors. Stretching and jogging indoors are great ways to start warming up your body to face the cool breeze outside. Now that you have the preparatory winter exercise tips to make your workout safe and successful, let’s take a look at the exercise in cold weather benefits and advantages. It will make you drink more water, thus keeping you hydrated and helping you maintain peak performance. With all these added benefits and advantages, exercising in cold weather may be your new favorite hobby this holiday season. Just make sure that you take the necessary precautions for your outdoor workout. Relying on the winter exercise tips above can be of great help when starting out your routine, and will set you on the right path to a safe workout.